Instant hydration for dry & damaged hair. Enriched with Organic Shea Butter and two Moisture Restoring Oils to deeply nourish and condition dry hair. Enriched with Organic Shea Butter, Abyssinian & Macadamia Oils for a richly hydrating experience, this creamy conditioner provides the deepest of nourishment for dry hair. 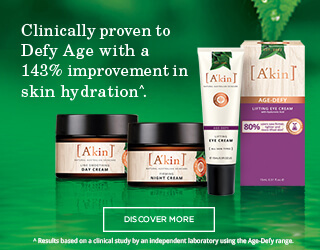 Working to repair damage, lock in moisture and strengthen; hair is left smooth, soft and healthy. 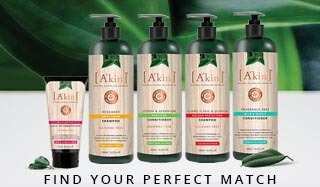 For best results use after A'kin Moisture Rich Wheat Protein Shampoo. After shampooing with A'kin Moisture Rich Wheat Protein Shampoo, massage a generous amount into wet hair and scalp. Rinse thoroughly. Natural conditioners won't give the instant shine that conventional conditioners do but that is a good thing! No silicones may not give the immediate shine, but this will come through after regular use and avoids the build up and plastic coating on hair .